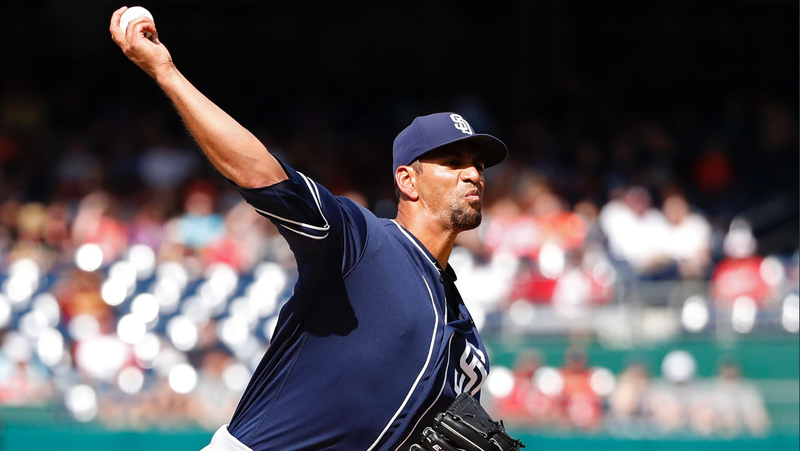 Coming into the season, there was no guarantee that Tyson Ross would be a Padre. He was on a minor league contract and the hope was that he could possibly make the rotation and eat up some innings before the prospects would take over. Fortunately for the Padres, it has been that and much, much more. 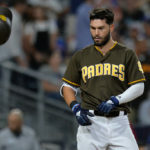 There is no argument about it; Ross has been the Padres’ best starting pitcher this year, and quite possibly, their best player, showing shades of himself from 2013-2015. 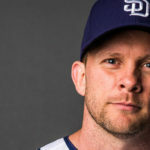 Coming into his start against the Washington Nationals, he had a 3.35 ERA in nine starts for the Padres in 2018, but his worst start of the season had come against the Nationals in San Diego on May 7, where he gave up five earned runs. Ross was looking for redemption on Wednesday and redemption is what he would get. Ross got off to a quick start against the Nationals, retiring them in order while striking out Trea Turner and Bryce Harper for a 12-pitch first inning. To start the second, Anthony Rendon battled Ross for seven pitches before grounding out to Jose Pirela. Matt Adams followed with a one-out single, continuing his tremendous start to 2018. Ross would escape any damage, though, after getting Michael A. Taylor to fly out to center field and Spencer Kieboom on a swinging strikeout to end the inning. Ross walked pitcher Eric Fedde in the third, the first time he has reached base in his four-game MLB career. After getting Wilmer Difo to lineout to center field, Ross ran into a little bit of bad luck as Travis Jankowski had a diving play go off his glove for a single to Turner. With runners on first and second with one out, rookie Juan Soto came to the plate, striking out swinging on a 2-2 fastball. Harper then followed with a swinging strikeout of his own on a 1-2 slider in the dirt to end the inning. Rendon led off the fourth with a deep flyout to left-center field. Adams followed with a bloop single to center. Ross would then end the inning by striking out Taylor swinging and getting Kieboom to fly out for the third out. The Padres offense would help Ross in the top of the fifth. After Freddy Galvis doubled with one out, Manuel Margot singled him in with two outs to give the Padres a 1-0 lead. Ross tried to help his cause on the following batter, but was out on a nice diving play by Harper in right-center field, taking away an extra-base hit that would have brought in Margot. Ross started the fifth inning getting Fedde and Difo to strike out swinging, both on sliders. He would then retire Turner on a groundout to third for his second 1-2-3 inning. In the top of the sixth, the Padres would get on the board again. Eric Hosmer singled with one out, his second of the game. He would then be moved over on a groundout by Pirela. After a two-out, six-pitch walk to Franchy Cordero, Christian Villanueva hit a deep fly ball off the glove of Harper on the right field warning track for a two-run double that was originally ruled a two-base error, making the score 3-0. Ross struck out Soto in the Washington half of the sixth, his second of the day against the Nationals’ top prospect. He would then get Harper on a groundout and Rendon on a flyout for another 1-2-3 inning. Ross would go over the 100 pitch mark for his fifth straight game, first time in his career, and eighth time in ten starts on the year to begin the seventh. Adams immediately greeted this milestone with a solo home run to right field, giving him a .500 average with three home runs against the Padres in 12 at-bats. Ross would quickly retire Taylor and Kieboom with flyouts before allowing a two-out single to pinch-hitter Andrew Stevenson. That would end Ross’ day with 6.2 innings pitched, nine strikeouts, one walk, and one earned run, lowering his ERA to 3.13. After Craig Stammen got one out to finish the seventh and one out in the eighth, Brad Hand entered to attempt a five-out save. In the eighth, Hand would get Soto to ground out and Harper to strike out, his third of the game. 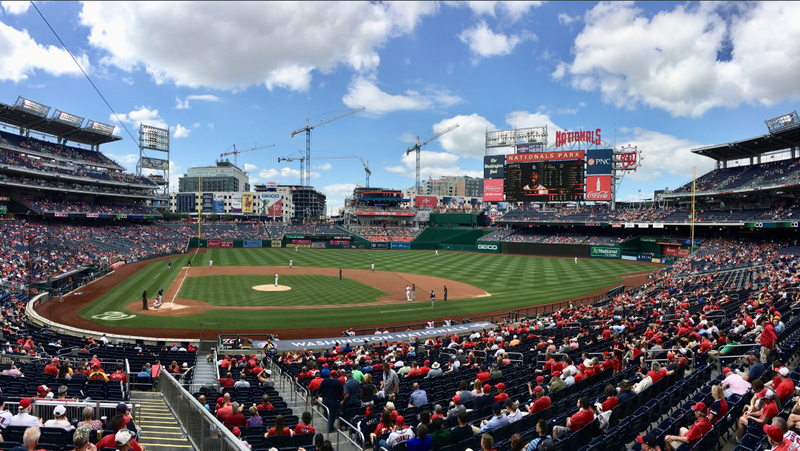 The ninth inning did not go as planned to start, as Rendon led it off for the Nationals with a double, and pinch-hitter Mark Reynolds followed with a single to left field. With runners on first and third with no outs, Hand faced Michael A. Taylor, who struck out on three pitches. On the next pitch, Hand got Kieboom to ground into a double play to end the threat. The Padres would salvage a 3-1 win to end the series in Washington. 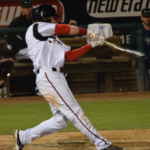 – Washington Nationals #4 prospect on MLBpipeline.com, Eric Fedde, was recalled before the game to make his first start of 2018. 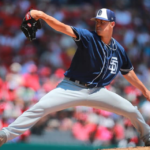 The young right-hander had not been pitching great in Triple-A Syracuse, with a 4.35 ERA, but was able to keep the Padres off-balance for much of the day. 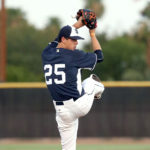 He would finish with 5.2 innings pitched, four hits, three earned runs, and six strikeouts. 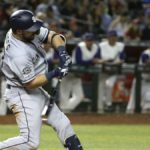 – Eric Hosmer continues to show how consistent of a player he is hitting in the two spot, getting two more hits today, giving him 48 on the year with 16 multi-hit games. – Manuel Margot had a clutch two-out RBI in the fifth inning, but he still seems to be lost at the plate, striking out twice today. His sophomore slump continues as his average sits at .191. 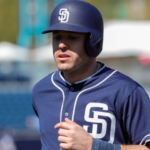 It will be interesting to see how long the Padres let the former top prospect struggle at the big league level.